The mainframe platform is essential to the top 10 insurers, 44 of the top 50 banks, 18 of the top 25 retailers and 90 per cent of the largest airlines globally. Gartner once said that traditional legacy systems will continue to underpin digital transformation in the enterprise and by 2023, 90 per cent of current applications will still be used. But, these established systems, such as mainframes, need to be improved in order to provide customers with the deeper visibility required when measuring their digital enterprise. Mainframes are often systems of record, and from an IT perspective, act as the beating heart of most of the world’s largest organisations, housing the most mission critical data and transactions. The mainframe platform is essential to the top 10 insurers, 44 of the top 50 banks, 18 of the top 25 retailers and 90 per cent of the largest airlines globally. But despite playing such a crucial role in today’s modern enterprise, many people forget that the mainframe still exists or believe that by dismissing the platform due to its longevity, make its existence less relevant. How has this happened? Well, it would certainly be fair to say that the mainframe has not been as widely covered by mainstream media over the last few years, with evolving technologies such as blockchain, AI and IoT occupying the spotlight. So why should the mainframe be front of mind? Well, the reality is that the mainframe is constantly evolving to support digital business needs, but do people really know what it is and what it can do for their business? The IBM mainframe has been a technological foundation enabling government policy and business processes since 1964. Until the mid-1990s, mainframes provided the only acceptable means of handling the data processing requirements of a large business, and these requirements were based on running large complex programmes such as payroll and general ledger processing. Known for its reliability and stability, the mainframe has been used by IT organisations to host the most important, mission-critical workloads. Amongst others, these typically include financial transaction processing, customer order processing, production, inventory management and payroll, along with the database storage for these transactions. And of course, famously, its ability to allow new levels of compatibility between systems saw IBM’s mainframe play an instrumental part in NASA reaching the moon. Despite some observers questioning the relevance of the mainframe in today’s technology landscape, 54 years after its creation, it remains the bedrock of the world’s modern enterprises. The mainframe still accounts for 90 per cent of Fortune 500’s companies’ core systems and continues to be at the forefront of hardware and software technology advances. Having kept up with the shifts in computing paradigms and application systems such as the move to web and mobile technology, the mainframe occupies a coveted place in global organisations, particularly within the banking, finance, insurance and retail industries. The reality is, we interact with heritage systems such as IBM z Systems mainframes every day. As the backbone to the modern economy and behind nearly every transaction that consumers make, mainframes are a crucial part of the IT stack. In fact, IBM data reveals that more than $6 trillion in card payments are processed annually on mainframes with end-users interacting with them in many ways, from withdrawing cash at an ATM, booking a flight or hotel room, or using a mobile application to check their bank balance or transfer money from one account to another. Not only is the mainframe as integral as ever, it’s continuing to evolve. Whether it be voice, virtual or augmented reality, enterprises will build new applications across a whole range of mediums, and many will involve some call back to the mainframe as it holds key customer data and business logic. The strategic importance of understanding the user experience of any application continues to grow, as does the proliferation of applications at all stages of the customer journey. With this growing influx of highly complex applications, deploying Application Performance Monitoring (APM) is now much more than a nice to have. APM enables businesses to identify and understand when and why an application is not behaving as it should, providing business and technical insight to inform when and how these issues are addressed. In turn, this empowers the internal IT teams to make the necessary changes to maintain or improve the customer journey and drive business value for the wider organisation. Until now, looking at the entire end-to-end application architecture and obtaining meaningful visibility all the way back into the mainframe has been a challenge. For many of the world’s largest enterprises, the total volume of transactions is exploding due to an increase in end-user engagement with applications, which means that more often than not, the most critical application components are running on the mainframe. With this in mind, mainframe performance is as relevant and important as it’s ever been. Today’s digital businesses rely upon a large amount of software systems built throughout the history of the organisation. Established mainframe systems and many of the core business apps and processes are likely to be working on-premise too. Despite being built on these legacy systems, many organisations are still innovating and the need for improvement and visibility into said systems is greater than ever. It is for this reason that AppDynamics and IBM have created an efficient way for customers to track transactions and isolate problems faster, keep additional resource utilisation very low, provide deeper visibility and offer the additional transactional layer of visibility that many are still missing within the mainframe. In the AppDynamics ‘flow maps’ that show the application topology, organisations can now see additional performance details for MQ, CICS, Db2 and IMS DB that are running on the mainframe, with additional visibility coming out every quarter as we continue to innovate. When transactions slowdown in the mainframe, this can be due to a number of elements, but with AppDynamics and IBM, customers are able to clearly isolate which component is causing the disruption or slowdown in less time, minimising the impact to customers or business operations, often before they even happen. This allows the right subject matter expert across mainframe or distributed teams to debug the root cause in the most efficient manner. There are real-life benefits for including an end-to-end solution such as APM. This offering from IBM provides the much-needed visibility to teams managing today’s most complex and mission critical digital business channels. It will enable faster isolation of any problem in the transactions process, allowing engineers to identify and isolate slower components and immediately fix the problem. It encourages collaboration between teams and opens up dialogue with groups often siloed by the technology they manage. The solution will address a critical gap for APM users and allow them to finally understand the true structure of the application through a simplistic, modern UI. At a glance, users can visualise the flow of transactions and where they originated from, and also identify which systems they interacted with, especially as their back-end services have been enhanced, modified and tweaked over several years. 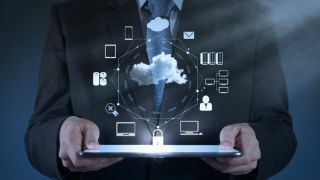 With AppDynamics and IBM, modern enterprises are now able to gain the visibility into existing legacy systems that is so critical to the digital enterprise. With the end-to-end holistic view, these businesses have an all-in-one solution that unifies monitoring and business measurement all the way back to the mainframe. In an increasingly digital and complex application-driven world, it provides the insight required to enable IT teams to make smarter, faster and more impactful decisions that ultimately deliver greater customer satisfaction and business performance.